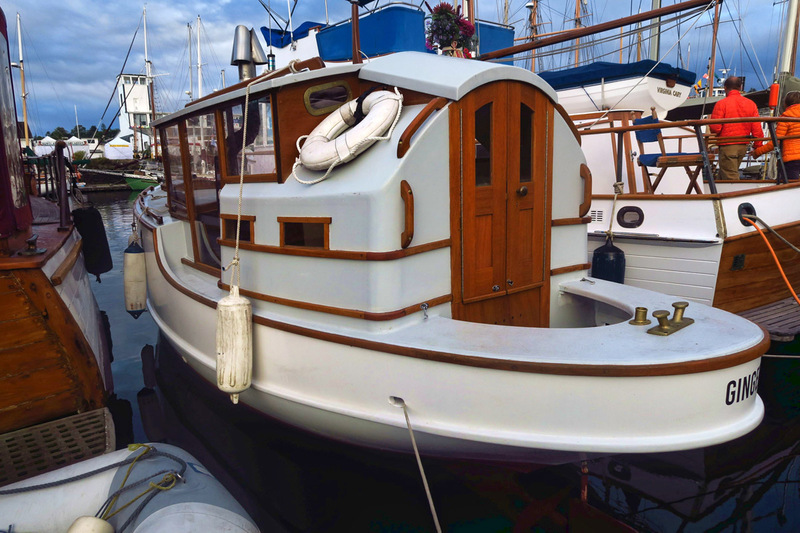 I’m not sure where my fascination with wooden boats comes from…a most unlikely passion for a person raised on a land-locked farm in Central Texas for the first third of my life. Next came my former husband, better known as “Captain Bligh.” Scott owned a 17 ft Nacra catamaran, for which he refused to surrender the tiller…if he would allow me to tag along at all, that is. But he needed someone to back the trailer down the boat ramp while he sailed onto the trailer. So his only option was to teach me. More yelling. How did such a sport that is supposed to evoke peace and serenity from gliding across tranquil waters with only the sound of the occasional luff of the sail and lapping of the waves breed so much yelling? But I digress…. 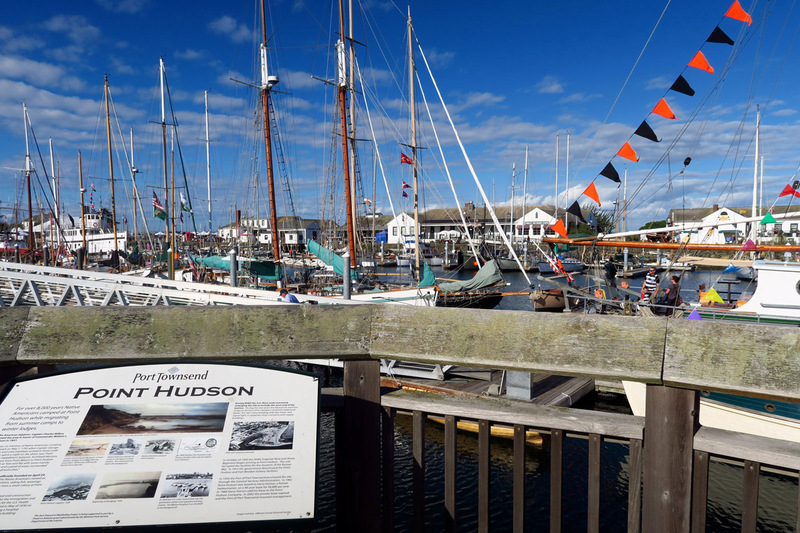 Point Hudson Marina and RV Park is front and center of the festival. 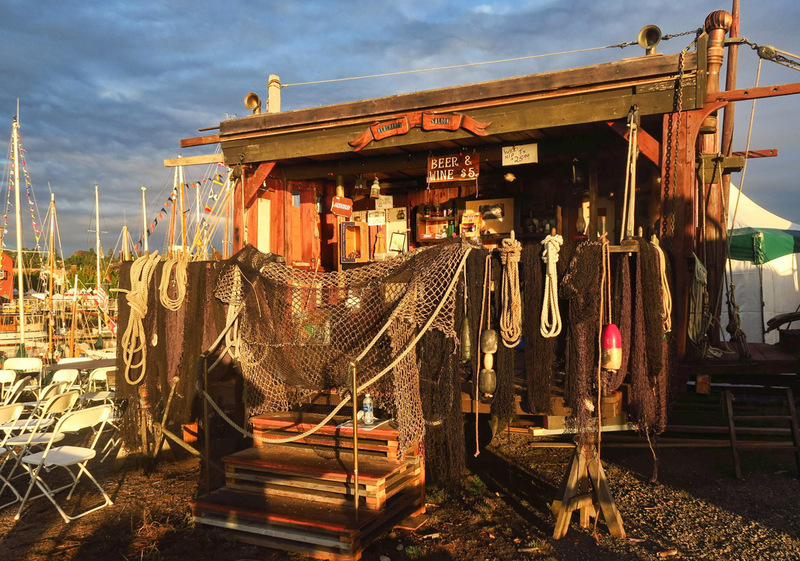 Northwest Maritime Center is location for all classroom seminars. The Northwest Maritime Center is a phenomenal facility with state of the art classrooms, meeting facilities, and a huge boat building shop. Looking at the Northwest Maritime Center from across the Point Hudson Marina. Point Hudson Marina looking very festive. 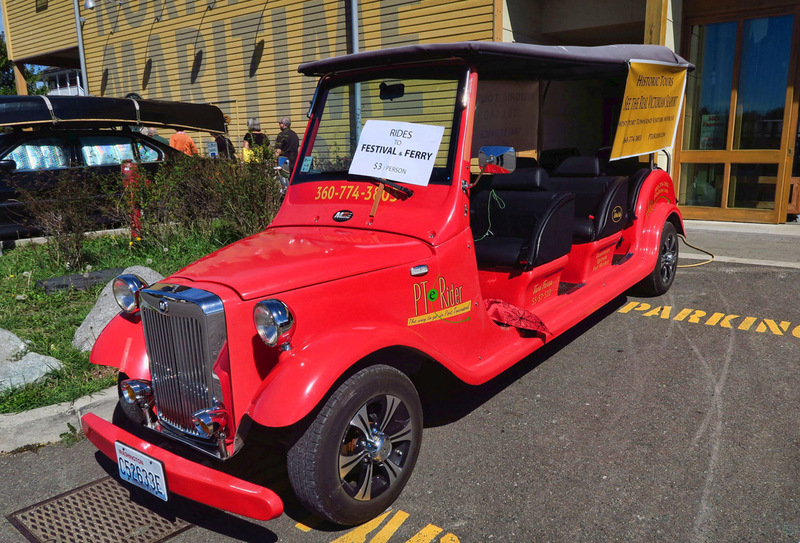 Port Townsend is a very walk-able town, but if you need transportation, you can take the PT Rider for only $3. 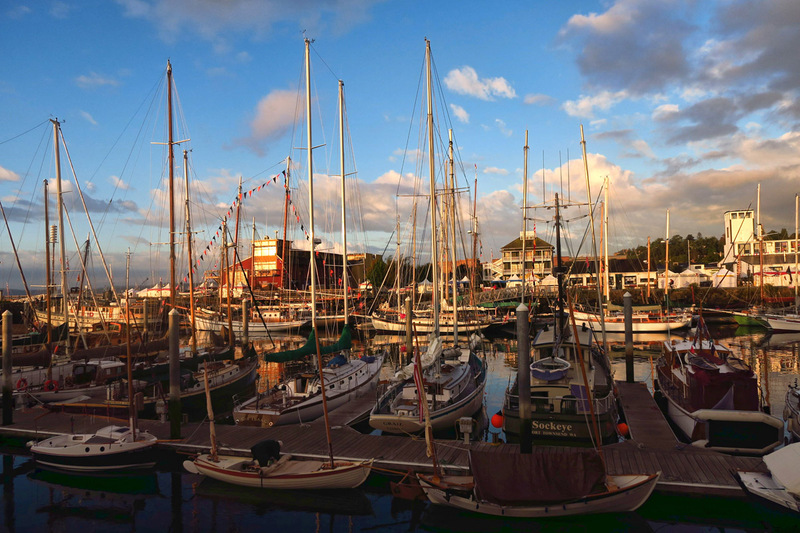 Through all the “ports of call” I have visited in my travels, nothing captivates me like a vessel under sail. In fact, were it not that that my solo navigation on water is so abysmal, I would have probably bought a sailboat instead of an RV. I love boats. All boats. But nothing speaks to my romantic side like the mystery, fragility, and aura of timeless classicism of a wooden boat. To take something from the elements of nature like a giant cedar tree from the earth, hand craft it lovingly into a vessel to harness nature’s element of wind for the purpose of gliding upon nature’s element of water makes my heart sing a sweet siren’s song. 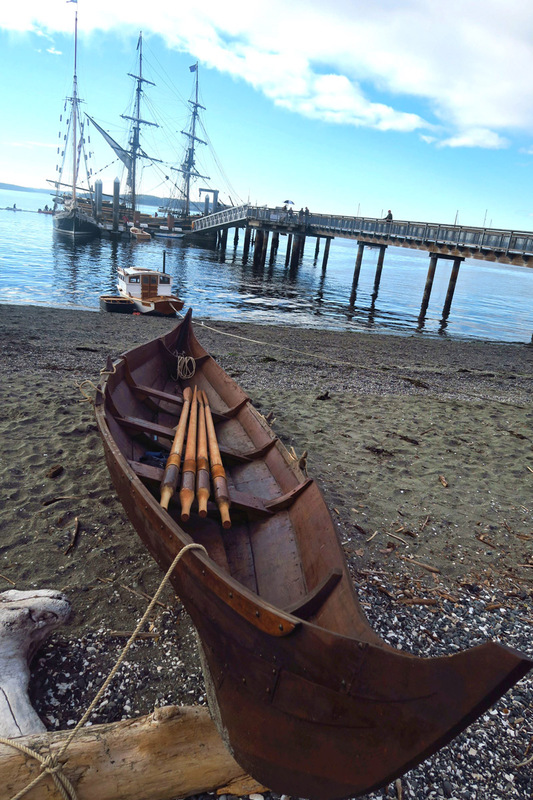 This is the Community Boat Project, a vocational opportunity for High School students from both Port Townsend and Chimacum. 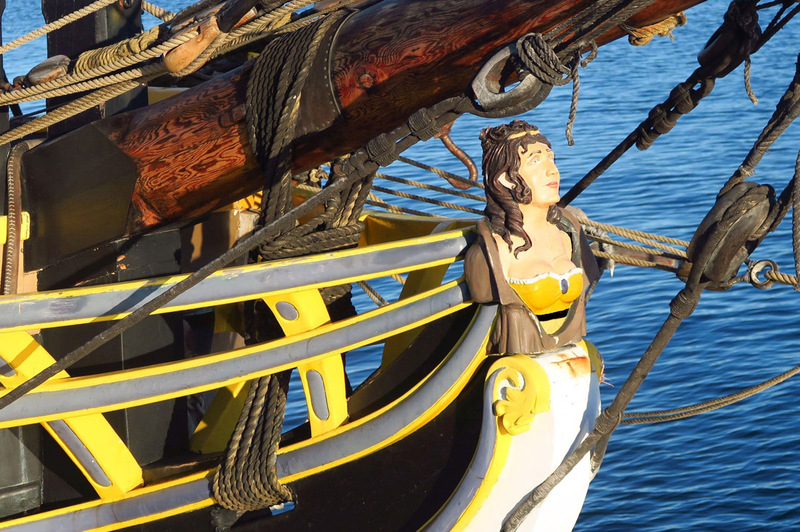 The Lady Washington. Both walk-on and sailing tours are available. 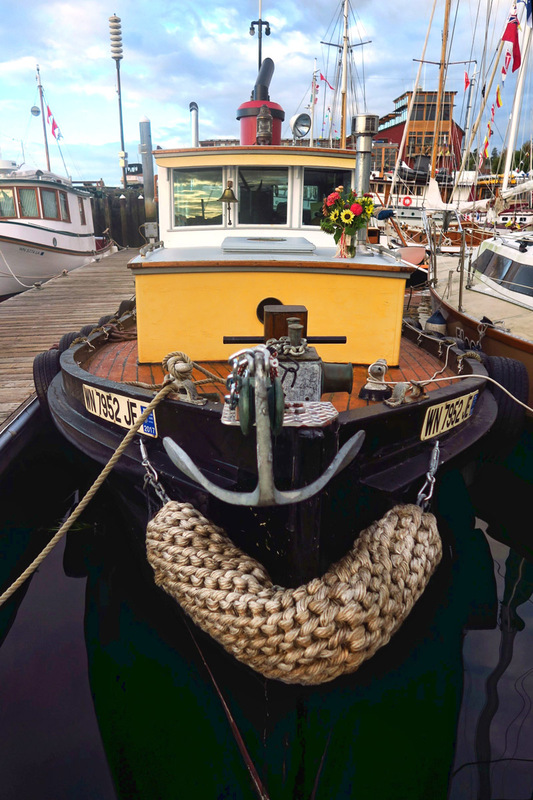 Wooden boats are not only a hobby, highly functional and efficient, but also a work of art. 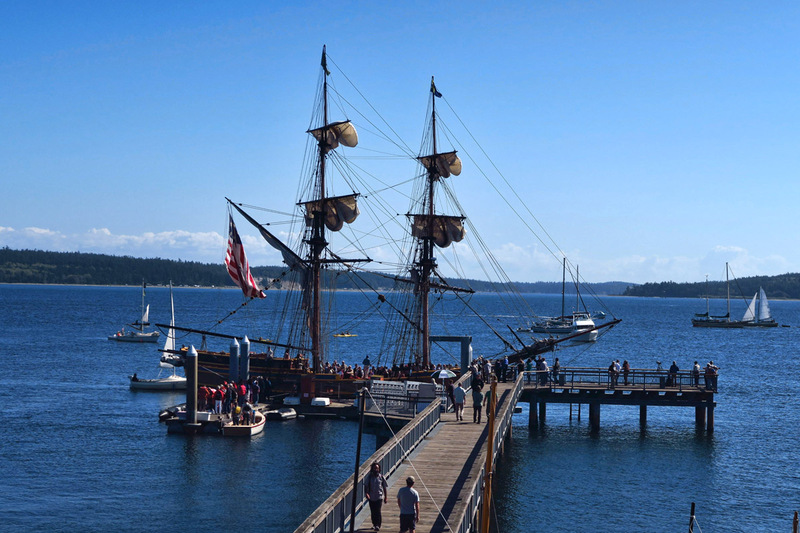 During my 2014 visit to Port Townsend, I learned of their annual Wooden Boat Festival. 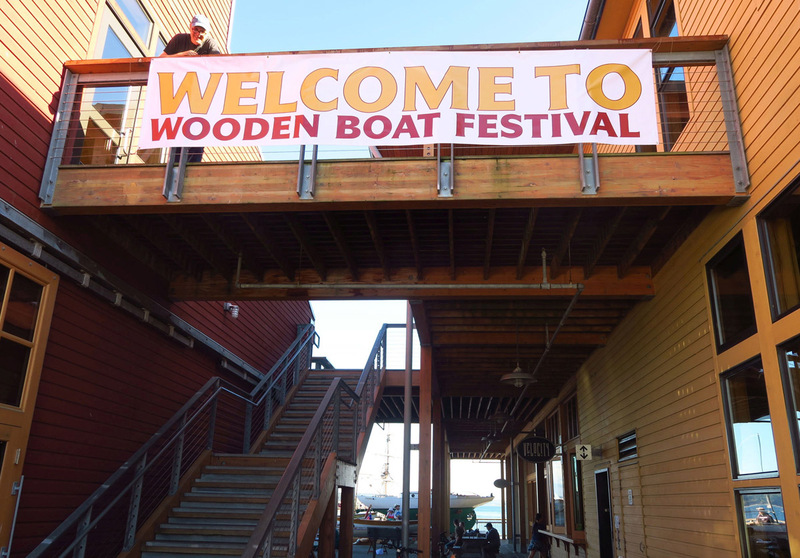 Judging by the size of the beautiful Northwest Maritime Center’s Wooden Boat Academy, I knew it had to be quite an event. I set my intentions to return for the festival at my next opportunity to point the RV toward the Pacific Northwest. So last December when I decided on my summer itinerary, I went online to do the research, only to learn I was about 3 months too late. You see, I not only wanted to be “at” the boat festival. I wanted to be “in” the boat festival. 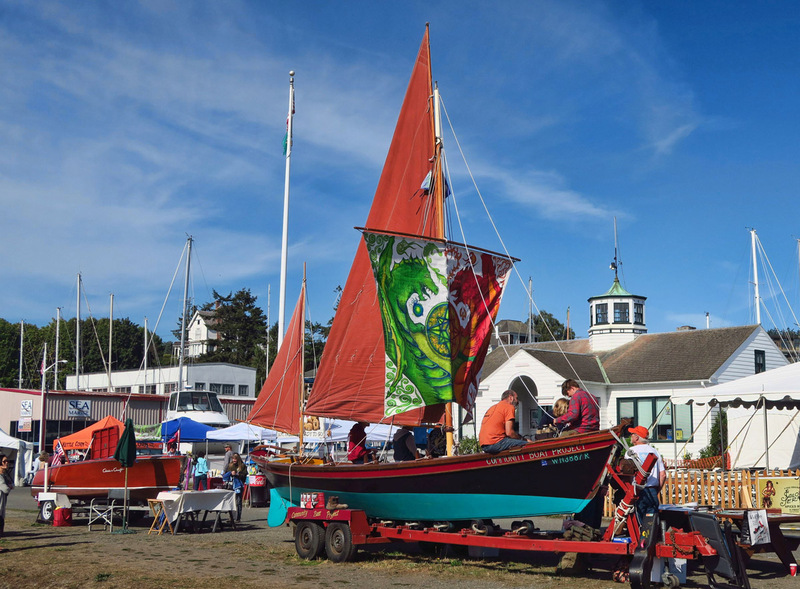 Boats must meet certain criteria to get a slip during the festival. First and foremost, must be wooden! 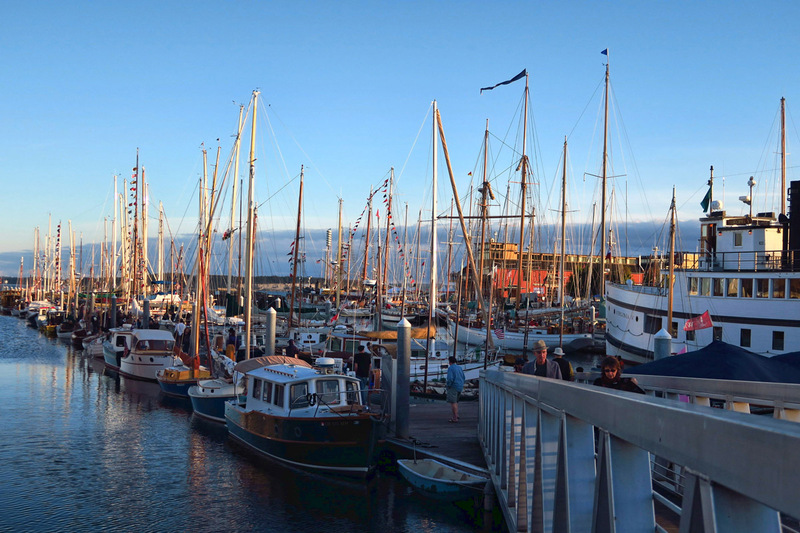 Boats can also get a slip in the marina during the show if they have some notoriety. This is a Danish spidsgatter, “Pax,” main character of the recent book Finding PAX: the Unexpected Journey of a Little Wooden Boat. 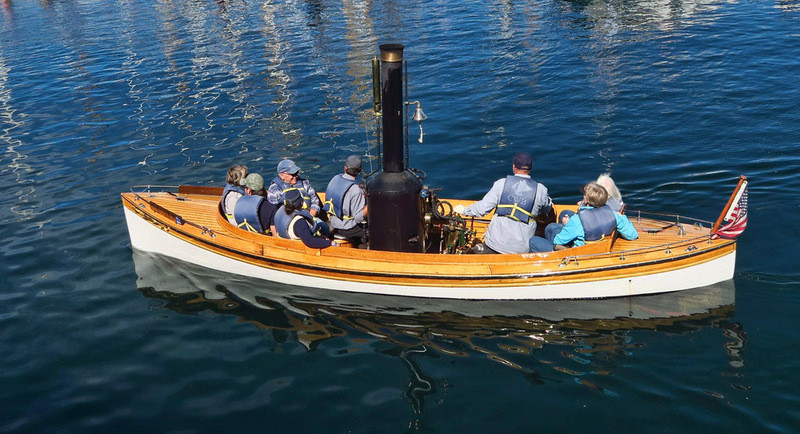 Many boats also have historical significance like “Puffin,” , built in 1906, is a 21 foot wooden launch, single cylinder steam powered boat. One sees all sizes of boats, like this little fold-able dinghy. Or the largest of the tall ships, like the Lady Washington, too big to come into the marina so she gets her own dock. 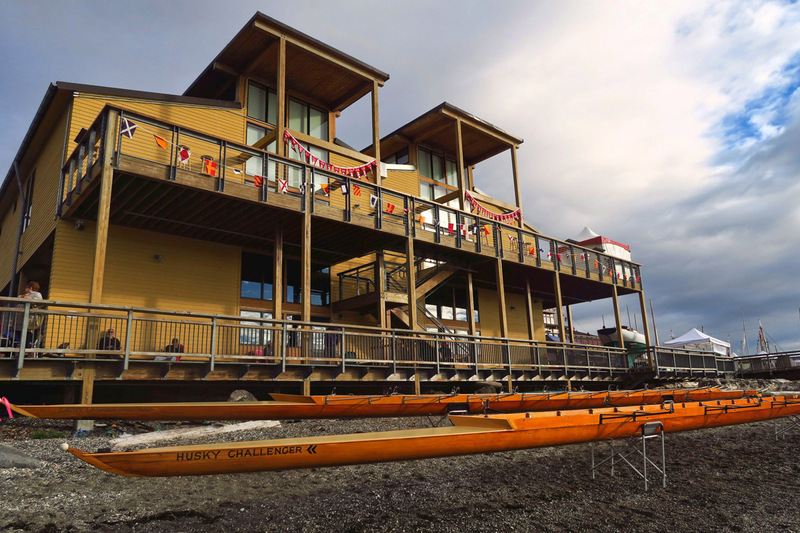 Each September, the Northwest Maritime Center takes complete control of the Point Hudson Marina and RV Park. 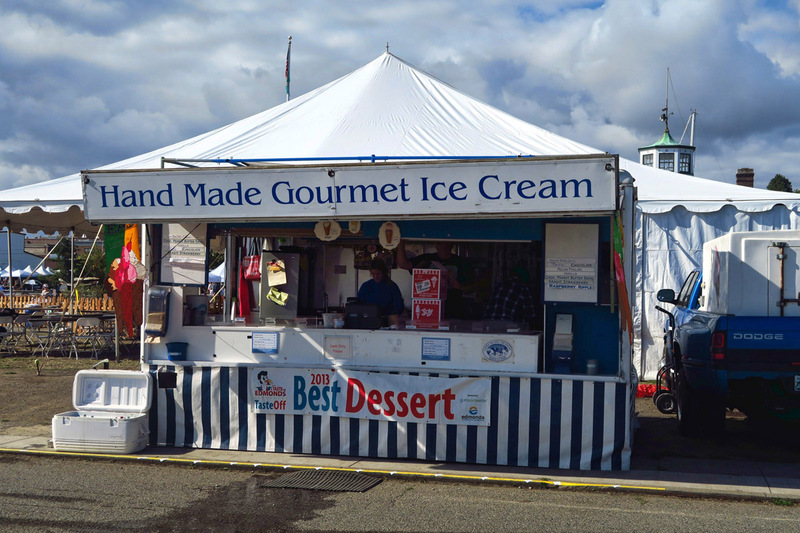 For three weekend days, this typically quiet RV Park at the end of town that overlooks the serene Strait of Juan de Fuca becomes the thriving heart of the festivities. 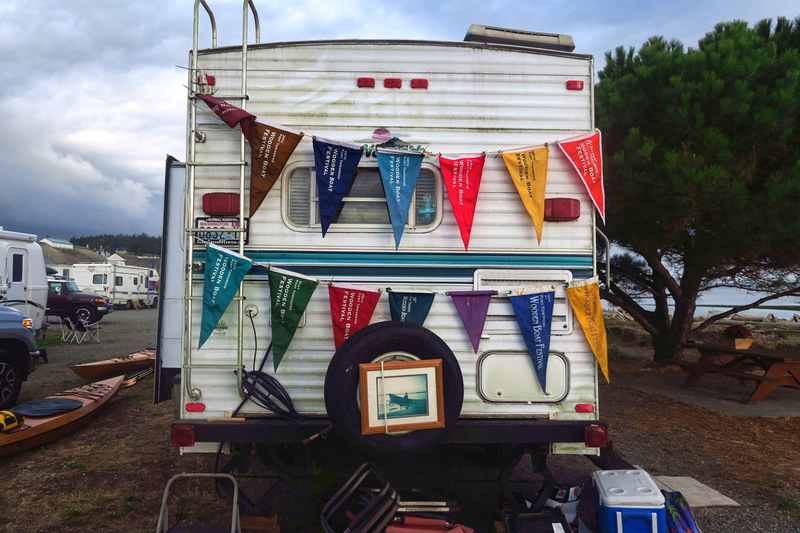 With enough advance planning, it is possible to secure an RV full-hookup spot right there in the marina, thereby immersing oneself in the heart of the Wooden Boat Festival, the midst of the mayhem. For an RVing boat lover like me, this is a double shot of Nirvana! The wooden kayaks always seem to take “Most Beautiful” when it comes to woodworking. 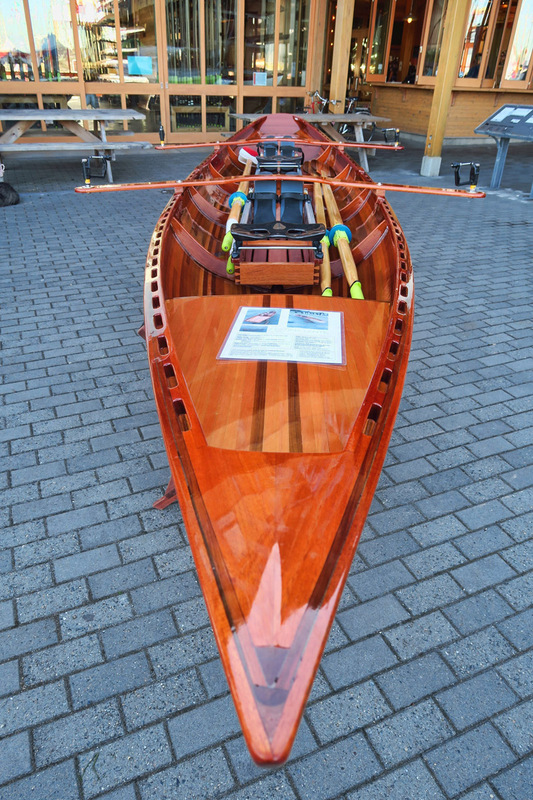 Beautiful rowboats on display as well. Nice to see us RVers represented! It’s been a year of obstacles, from mechanical potholes to physical hurdles to even an emotional stumble or two. On several occasions, the thought occurred to me to alter my course. Give up my plans. Something was “telling me” that the Pacific Northwest was not where I was meant o be this summer. But the one thing that kept me going was my hard-sought reservation for the boat festival. Thank goodness tenacity prevailed, as I don’t remember a public event when I’ve had more fun! 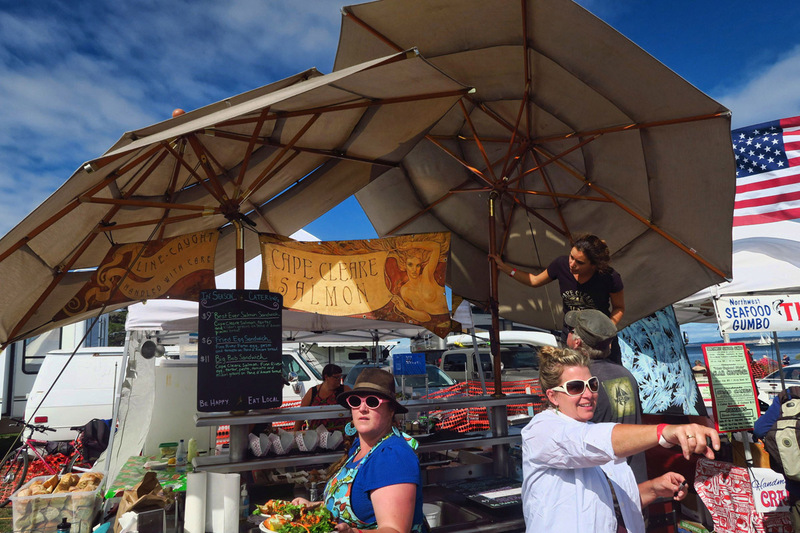 There is a food court in the festival as well. “Cape Cleare Salmon” makes fantastic salmon sandwiches on fresh bread from local bakery. There are several venues for beer and wine, but the “Wee Nip” was my favorite. 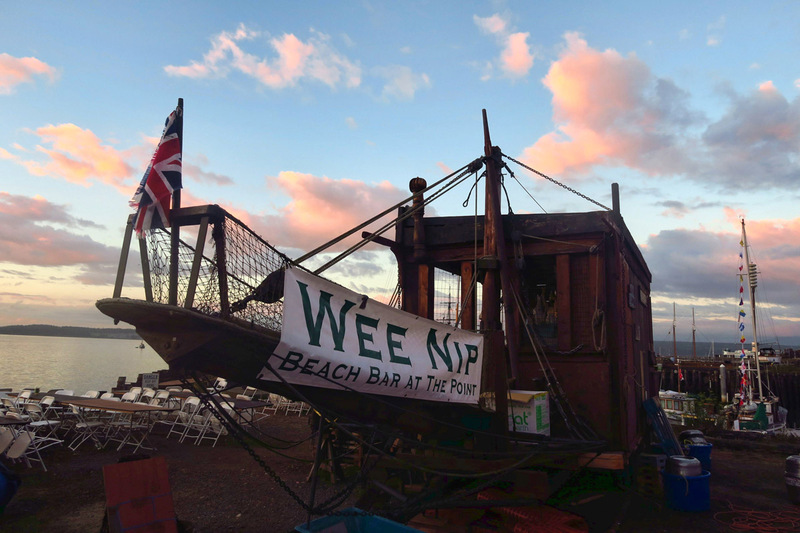 This ingenius bar, the “Wee Nip” is actually built on wheels like a tiny house. This is my neighbor in the RV park. 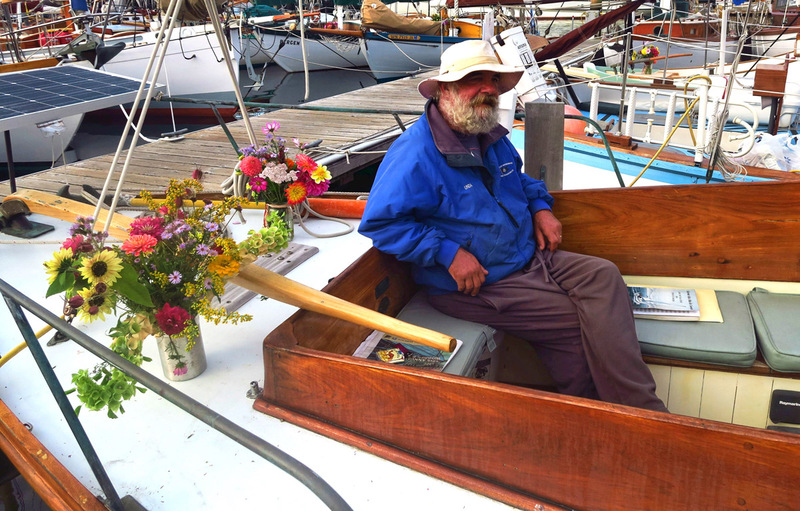 He has amassed Wooden Boat Show burgees spanning 20 years. 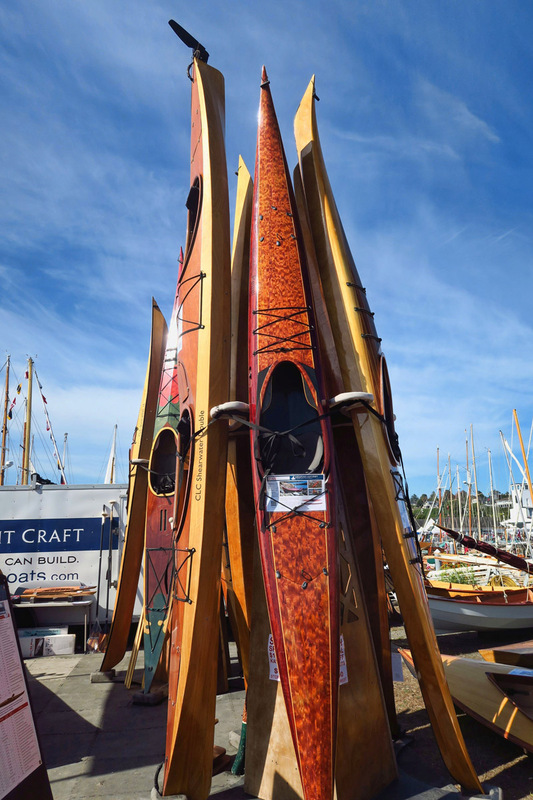 Coming up next…a closer look inside the 40th Annual Wooden Boat Festival. 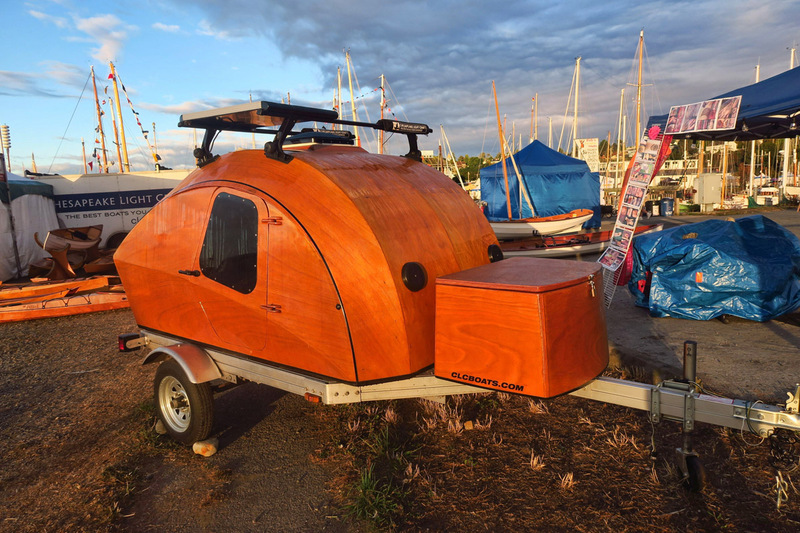 This entry was posted in Washington and tagged Northwest Maritime Center, Point Hudson Marina and RV Park, Port Townsend, Wooden Boat Festival by Suzanne. Bookmark the permalink. We missed the show when we were there, too, but not being into wooden boats, I was just glad we weren’t there at that time because of the crowds. 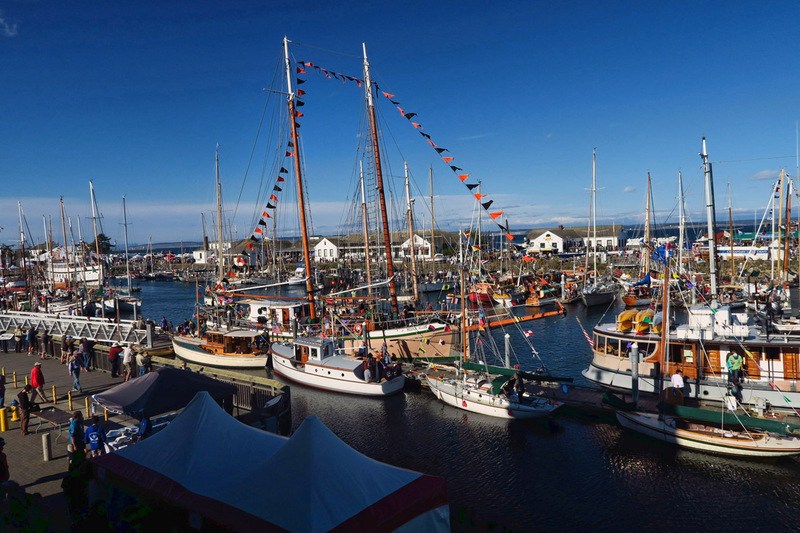 We avoided Port Townsend during the festival time, but now I certainly wish I had gone to see the boats in person. You paint such a compelling picture with your words and photos. 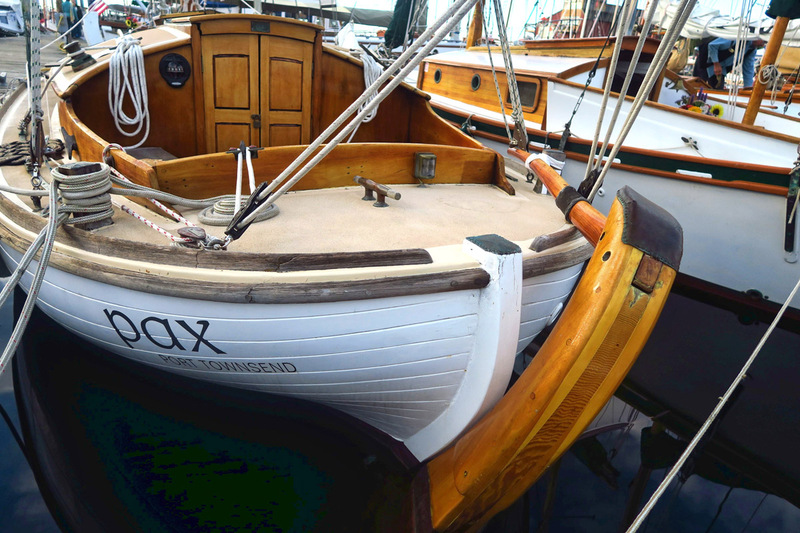 Excellent photos and story about your introduction to sailing . Love your photos and story! 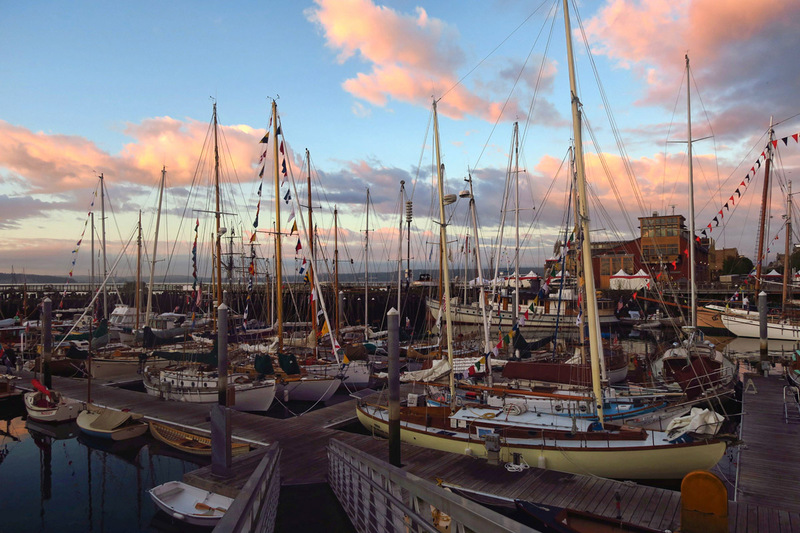 Tomorrow we are sailing on the Adventuress out of Shilshole Bay in Seattle and Oct 23 we sail on it out of Port Townsend. That’s as close as we get to sailing but it is fun to experience such a great boat and fun crew. We have relatives in Pt Townsend so love to head up there and stay at Port Hudson RV park. So glad you got to the festival after all your RV troubles! Hi, Marti, what a coincidence! I sailed on the Adventuress also! I am just behind on the blog, but it will be coming up soon. It was a great crew, and lots of fun! I wondered where she had headed next, as I saw her leaving the Sound. Wish we could have met up on one of your visits here. 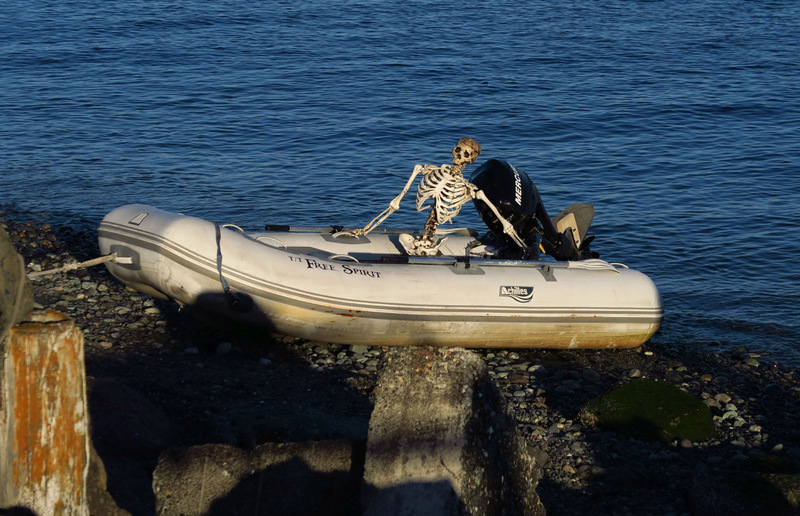 Hi, Jeff — I still haven’t decided yet if I will make the ferry this trip. I did it in 2014 and loved Whidbey Island, Coupeville, and of course, Admiralty Head Lighthouse. Sadly, time is getting away from me this year. It’s gone way too fast! I am behind on my blog reading, but intend to catch up on Alaska soon! 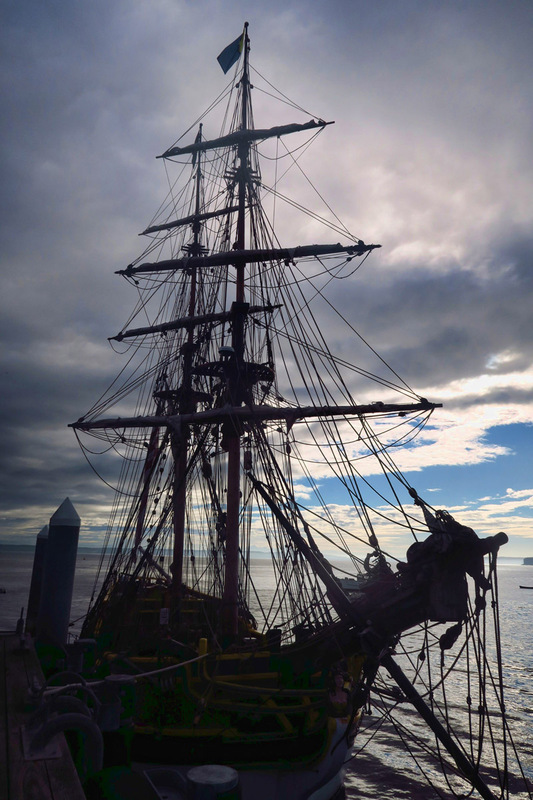 I’ve always wanted to take a trip on a tall ship, and almost took sailing lessons when I lived in Chicago. I need to keep this festival in mind for when I travel to the west coast. 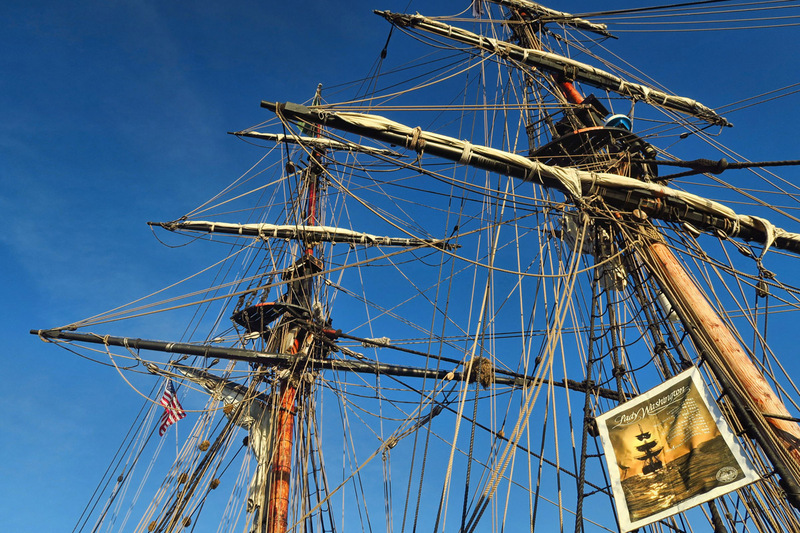 Saw the Lady Washington 10 years ago in Tacoma. Loved it! Was hoping to see it again this year, but our schedules didn’t coincide. Glad you got to see it! Hi, Diana — She was hauled out here in Port Townsend on Tuesday. I have a photo of her in dry dock which I will post soon. Rhonda, as the old cliche’ goes, “Friday, Saturday, Sunday….but there is no ‘Someday!” DO IT!! And while you’re at it, START A BLOG! You write prettier prose than 90% of the bloggers out there! Loved this post, so glad it is to be continued. 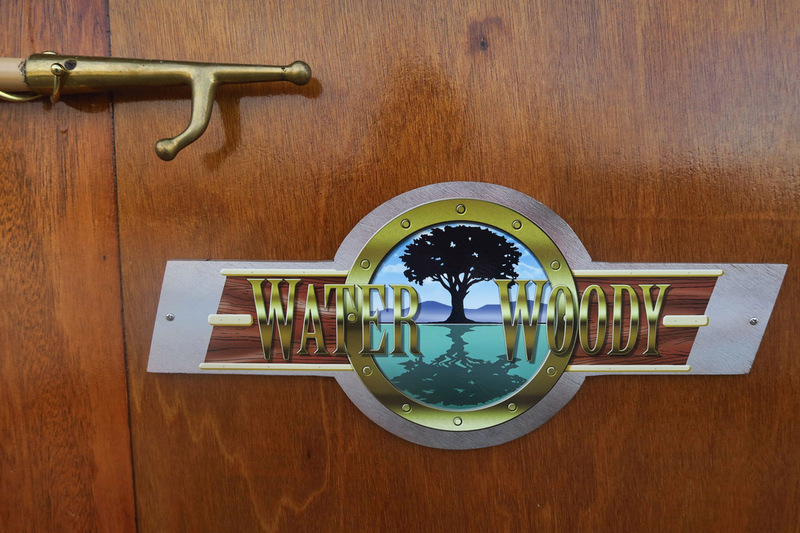 Beautiful craftsmanship involved in making those boats. 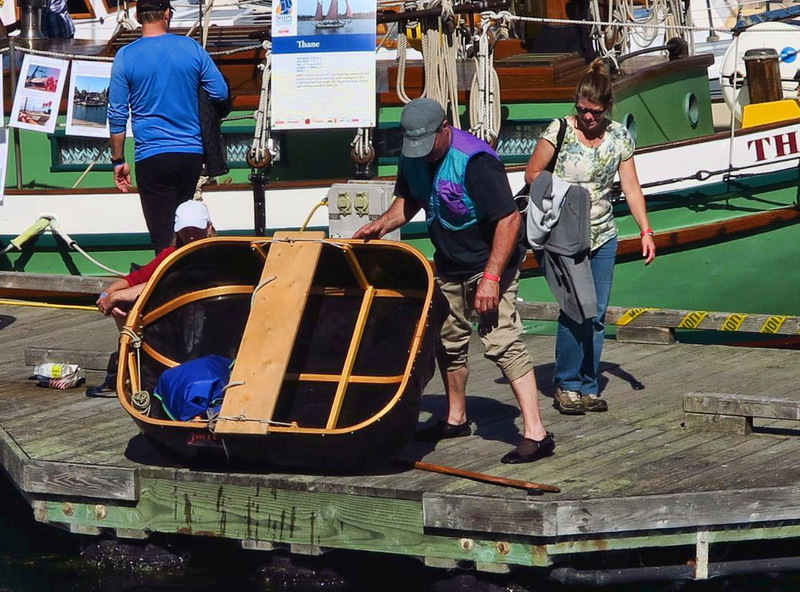 The folding boat reminds me on a Welsh coracle. 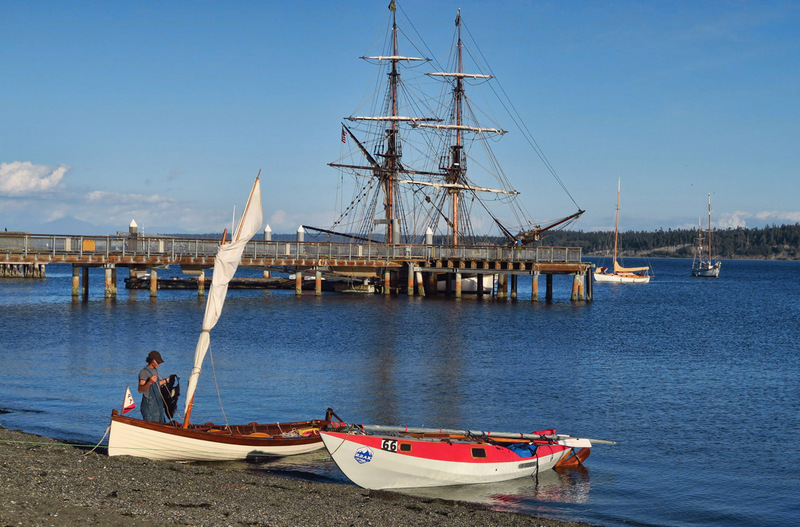 Love Port Townsend and the beautifull waterfront and boats. It was a great stop on our way to Forks five years ago! Your pictures and prose are just gorgeous! Looks like this festival was everything you’d hoped it would be…yay for perseverance! Lovely post! As you know, we were just there the week before. You always seem to get the good weather. 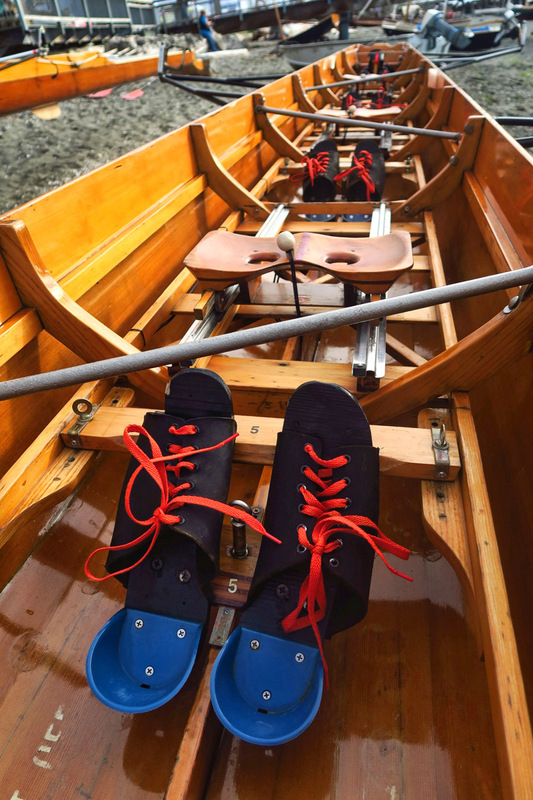 Great photos of the boats and Kayaks! Maybe we will run into you some day on the road. I hope so. Great post, looking forward to Part 2. Safe travels wherever you go next. When we toured the Northwest Maritime Center with a guide we heard about the wooden boat festival, which sounded wonderful. Lucky you! I can already see this is going to be good.